According to the National Heart, Lung, and Blood Institute, atrial fibrillation (also called AF or A Fib) is the most common type of cardiac arrhythmia, or abnormal heart rhythm. Atrial refers to the atria (pleural of atrium) the top two chambers of the heart. Fibrillation is the rapid, irregular and unsynchronised contraction of muscle fibers. In AF, the upper chambers of the heart do not pump all of the blood into the lower chambers creating an opportunity for a blood clot to form. If the clot breaks off, it can leave the heart and block an artery in the brain, causing a stroke. While some with AF have no symptoms, other exeperience feeling faint, shortness of breath, extreme fatigue, chest pain and heart palpitations. The risk of AF increases with age, but about half of those with AF are younger than 75 years old. People with AF are at a much higher risk of stroke. The risk can vary, depending on the age of the patient and the presence of other medical conditions such as hypertension, diabetes, heart failure, and whether the patient has already suffered a prior stroke. Most patients with AF, except those who are very young and have no other medical problems, require ongoing treatment to prevent strokes. Warfarin (an anticoagulant or a blood-thinning medication) is commonly given to those with AF to prevent blood clots and stroke. However, long-term warfarin can put some patients at an increased risk of bleeding complications. 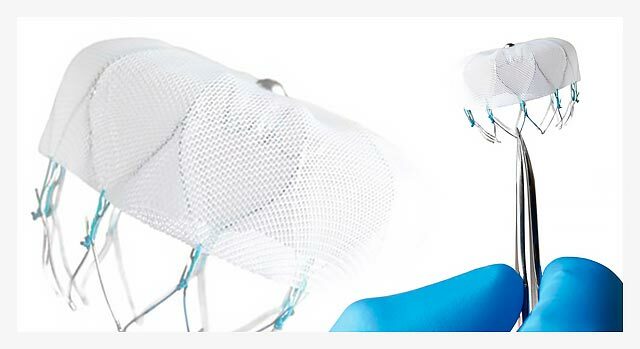 Desert Springs Hospital Medical Center was the first in Nevada to offer the Watchman Left Atrial Appendage Closure implant, which is a non-drug alternative to long-term warfarin use. With the inplant, patients can permanently stop taking warfarin or other blood thinners after 45 days. Approved by the U.S. Food and Drug Administration (FDA) in 2015 for with AF who are at increased risk of bleeding complications from long-term warfarin use. The best candidates for the implant are on blood thinners who are at high risk for falls, those with a history of bleeding, and those with other risk factors that are determined on a case-by-case basis. In a clinical study that evaluated the Watchman, about 92 percent were able to stop taking their warfarin 45 days after the device was implanted, according to the FDA. Within a year after the procedure, more than 99 percent were able to stop taking warfarin. The Watchman is a tiny parachute made from flexible mesh. Doctors guide the device through a catheter into heart’s left atrial appendage, where it can filter potential blood clots and prevent possible stroke. The Watchman implant differs from existing non-drug treatment for AF, called ablation, where heart tissue is removed through radiofrequency waves. If your doctor has told you that the blood thinners are you are taking for AF pose a greater than average risk of bleeding complications, you could be a candidate for the Watchman implant. Take the eligibility assessment below. If you answer “Yes” to the four questions below, the WATCHMAN Implant may be the right choice for you. Have you ever been diagnosed with atrial fibrillation (A Fib)? Have you ever been told you are at increased risk of having a stroke from atrial fibrillation? Are you currently taking or have you considered taking warfarin or other anticoagulant medication? (Sold under the brand names of Jantoven®, Pradaxa®, Eliquis®, Xarelto®, Savaysa® and Coumadin®). Do you have a reason (for example, bleeding or frequent falling) to look for a safe alternative to the long-term use of warfarin that will provide a comparable reduction in the risk of stroke?